Northern Plains Grain Inspection Service, Inc. is a privately owned, federally licensed, official grain inspection agency. We provide official grain inspection services to grain elevators in Northeast North Dakota and Northwest Minnesota to help facilitate the marketing of their products. 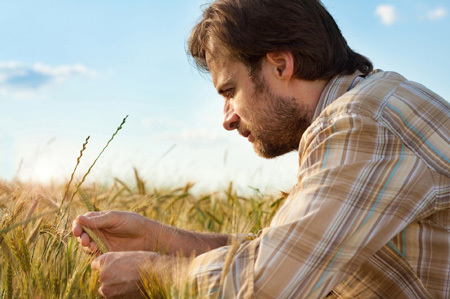 We also provide services to farmers, insurance companies and other grain companies that have a need for our services. We provide these services under the provisions of the United States Grain Standards Act and its Regulations, and are monitored by the USDA’s Grain Inspection, Packers and Stockyards (GIPSA) division. We are currently seeking motivated, energetic individuals to fill Permanent Full-Time, Part-Time, and Seasonal Full-Time Grain Samplers and Technician positions. Applicants must have a current drivers license, must be insurable as a driver, and must pass a pre-employment drug screening. Applicants must also be able to lift 50 lbs. and be physically able to work on top of railcars. NPGIS, Inc. offers a competitive starting wage and benefits package, which includes: Weekly paycheck with weekly bonuses available, company paid health insurance (after completion of 60 day probationary period), 401(k) Retirement plan with company matching contribution, paid vacation days and wellness bonuses. Advancement in the company is possible and encouraged. Must be able to work a flexible schedule with some night and weekend work required. All necessary training is provided on-the-job.